A bit more on that police activity in Carlisle city centre... they are investigating an attempted robbery at Ladbrokes betting shop on Scotch Street. Police have held a meeting with Riverside, Cumbria Fire & Rescue Service, the Environment Agency, councillors and residents to "discuss issues and improve the area." It follows a public disorder incident yesterday in which a 16-year-old boy was arrested. Meanwhile, there is some debris on the road on the M6 northbound between junction 43 for the A69 (Carlisle) and junction 44 for the A7 (Carlisle North). Drivers are advised to approach with care. We've just had reports of police activity outside Poundland in Scotch Street in Carlisle's city centre. We'll update this with more information as soon as we get it. It's also slow going on the A6 at the Eamont Bridge traffic lights junction. Traffic is slow on the A595 northbound in Egremont between the B5345 Morass Road junction and the A5086 junction. The Met Office has issued an early warning for strong winds across north and west Cumbria on Saturday. It says there is the potential for severe gales to develop, with gusts of up to 70mph likely. Some heavy rain is also likely, particularly in the west. Filtering through this year's primary school league tables and there are plenty of success stories. Full coverage in tomorrow's News & Star. The play area at St James Park in Carlisle has reopened after the completion of improvements costing £19,000 designed to combat anti-social behaviour and vandalism. It now has improved lighting and security fencing. Trinity School's annual Christmas carol service takes place at Carlisle Cathedral from 7pm on Monday (Dec 16). A new dedicated building for Carlisle and Eden’s sexual health services is set to open. The Solway Clinic is a purpose built centre at Hilltop Heights, London Road, Carlisle. It opens on December 16, with drop-in clnics from 8.30am. The move means there'll be no sexual health services available on December 13. Good morning...it's my first go on the Rolling News today and to mark the occasion here is my first post: Cumbria County Council Trading Standards is holding an advice drop-in session at Whitehaven Citizens' Advice Bureau in Greggs Lane today from 10am to 4pm. The re-development will give the Kirkgate a new glazed foyer with box office, meeting room and café. Alongside the Bitter Beck there will be new offices, toilets and a lift and at the rear there will be improved access to the stage plus dressing rooms. 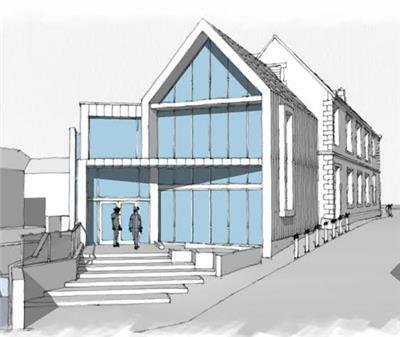 The Kirkgate Centre in Cockermouth has submitted an application to the Arts Council for £850,000 to kickstart its fundraising for a £2m re-development scheme given planning permission earlier this year. A decision on the application is expected in July. A further more detailed application will then be submitted by next October, which it is hoped will get the go-ahead in March 2015 so that work can start in early 2016.